Why do the Edmonton Police Service and the RCMP vision applications require contrast sensitivity testing? What should you do if you are worried about you own driving fitness or the ability of a close friend or relative to be a safe driver? We have all heard stories of people who were injured or killed by a driver who should "not have been on the road". Why do I have to go to the Royal Alex Hospital after seeing my eye doctor? Your optometrist is qualified to handle the majority of eye care conditions that may arise during a routine eye health exam or emergency eye exam situation. In some eye conditions however, more advance eye care or medical care may be warranted. Some eye findings are simply warming sings of more serious underlying health issues that need to be addressed in order to resolve the visual symptoms you may be experiencing. Like your family physician, your optometrists can help to coordinate the appropriate eye care required by the most appropriate health care provider. Occasionally, this may be an ophthalmologist that specializes in certain surgical procedures or specific eye diseases. Why the Royal Alex Hospital? The Royal Alex Hospital is considered the home of ophthalmology in Edmonton and most local ophthalmologist work regular clinic shifts within the eye clinic. Typically, patients must be referred into the Royal Alex Hospital eye care unit by an optometrist, family physician or emergency room physician. 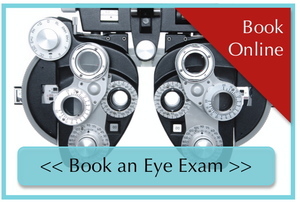 These referrals are reserved for urgent eye care needs only and not routine eye health examinations. If your eye condition is less urgent, and you are still wondering why you were referred to the Royal Alex Hospital. It’s probably because many specialized ophthalmologists have their full time clinics stationed at Royal Alex Hospital and your appointment may simply be with one of them. FYI: If you ever have any questions or concerns about where one of our optometrist refers you to, please do not hesitate to contact the office. Your optometrist will be happy to explain the reason behind the decision and can make any necessary changes to the appointment when possible. Whether you're running at top speed and catching a football, or precisely aiming a golf shot, knowing which eye is dominant will help you in any sport. An athlete can interpret fast action and achieve better head and eye positioning by knowing which eye is dominant. A dominant eye can process visual information more accurately than the non-dominant eye. Use both hands to form a small triangle between the thumbs and first knuckles of your forefingers. With both eyes open and your arms outstretched, move your "triangle" until you have a distant object such as a light switch within the center. Shut your left eye. If the object stays centered, you are right-eye dominant. If the object moves out-of-center, you are left-eye dominant. Interestingly, eye-dominance is not related to if you are right-handed or left-handed. We came across this 1966 advertisement from Better Vision Institute and had to share it! The vintage eyewear styles that are popular now deserve vintage advertising to go with it. Sure, lens and eye exam technology has changed since the 1960s, but the message still holds true today: everyone needs an eye exam every year. What is a stye? How do I treat it? A stye (also known as a hordeolum) is an inflamed/infected tear gland on the upper or lower eyelid which causes pain, redness and swelling. It typically doesn't affect vision unless the eyelid is swollen to the point where it obscures vision. Styes are caused by bacteria very common in the body and isn't considered contagious except through direct contact. Treatment is usually a mild antibiotic ointment a 2-3 times per day and warm compresses twice per day for a few days. After this time it will come to a head and drain on its own. Never attempt to drain or "pop" a stye as it can cause serious damage to the eyelids and surrounding tissue and can occasionally cause the infection to go deeper into the tissues. Recurrent styes can indicate chronically clogged tear glands and lid scrubs can greatly aid in reducing the frequency of styes.